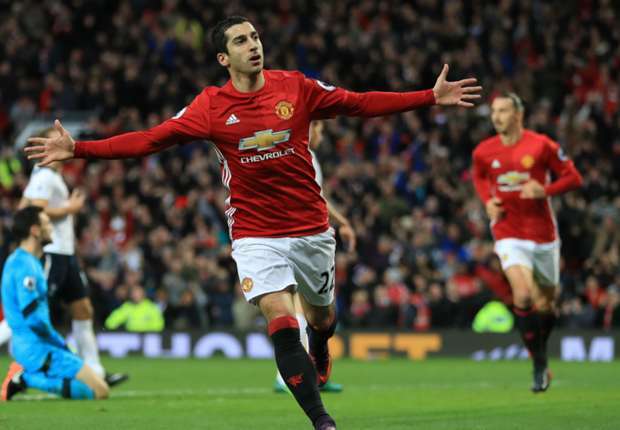 Manchester United makes their first Premier League point since September courtesy of United forward Mkhitaryan who without a thought place a Herrera assisted through pass behind with a thunderous Shot. Below is our detailed summary of the events at Old Trafford. Both teams start the game very energetically with entertaining shots from Kane, Ericsson and for United we had shows from Mkhitaryan, Ander Herrera, Zlatan Ibrahimovic, Carrick and Martial. Both teams play each other with a counter but United had an edge here as more dangerous plots were observed. Finally Mkhitaryan Scored in the 29th minute, making use of a sweet pass from the mid field pushes it ones then places it behind the Tottenham goal keeper with some breath taking shot. The Game still had some chances for United and some sweet defending by the United defence to keep the Spurs from having an edge in the United half. The Game changes as in the second 45, Mauricio Pochettino bringing in some good formula which worked making his attack incredibly unbearable for United and more dangerous but perfectly handled. Manchester United Pogba hits the pole with a perfectly taken free kick, and seconds later his shots got saved by the Tottenham Keeper, An incredible show of form by both teams. Manchester United goal scorer Mkhitaryan gets hospitalized and taken away on a stretcher. Manchester United managed to accommodate the Tottenham attack till 90 minutes bringing in Bailey for Mkhitaryan and Fellaini for Herrera. Manchester United remains 6th on the premier League Table but this time 3 points behind the Spurs.